Peter Capaldi returns as Doctor Who on Saturday, April 15, with Season 10 premiering on BBC One and BBC America. We last saw the Doctor in Christmas Special “The Return of Doctor Mysterio.” Season 9 ended with Clara Oswald traveling through time and space with Ashildr, and the Doctor losing his memory of her. In “The Return of Doctor Mysterio” we learned that Nardole has continued to be the Doctor’s traveling companion. We first met Nardole in “The Husband of River Song” when he accompanied River Song. Matt Lucas is Nardole, playing the role of a kind and funny alien. Bill Potts will join the Doctor in the new series. Bill is played by Pearl Mackie. 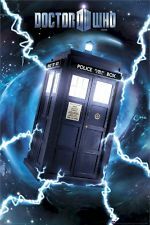 Peter Capaldi, Pearl Mackie, and showrunner Peter Moffat will be with the series through Season 10, after which we can expect a lot of changes. In the meantime, watch the premiere of Season 10, “The Pilot” tonight.